The Hunter Collared Male is Silver Gray with a small white spot on his chest. He is a solid medium build with a muscular look. This puppy is very smart and likes to go right to work. 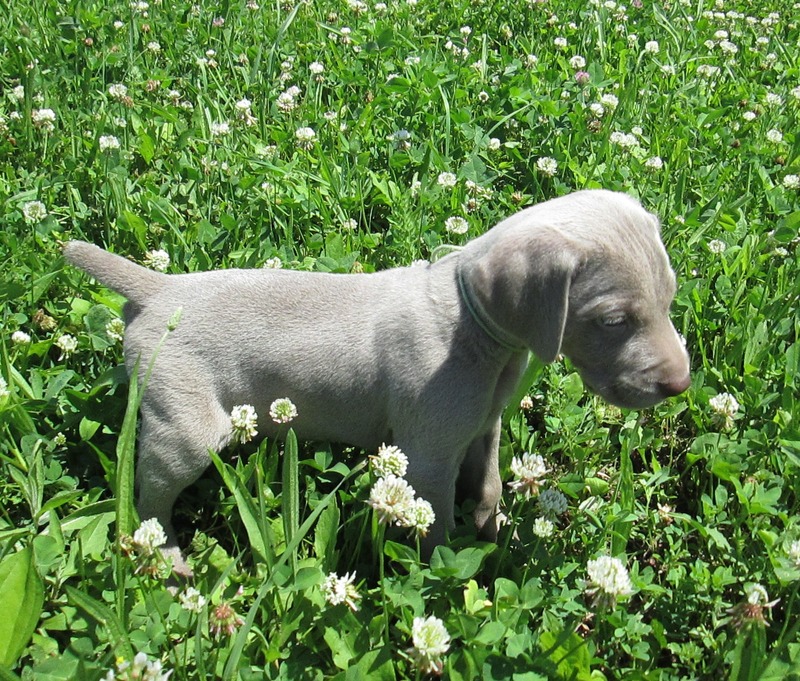 With a super head and conformation, I expect this puppy to develop into a really nice Weimaraner. 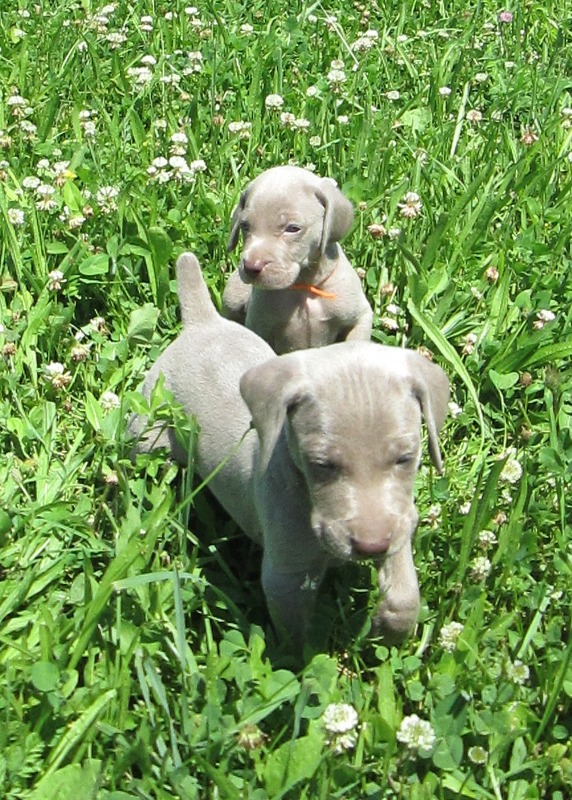 5 weeks old, Hunter is the one in front.